Tarsem Singh’s Immortals doesn’t have brand-name recoginition like other titles make the rounds at WonderCon, but it doesn’t need to. Swords-and-sandals flicks can sell themselves and if it was good enough for antiquity, it should be good enough for us (in related story, please join my campaign to bring back triremes). 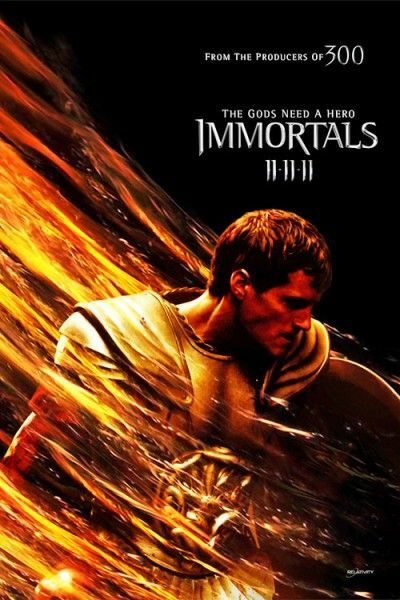 Immortals is Singh’s spin on the genre and re-envisions gods like Zeus (Luke Evans) and Athena (Isabel Lucas) as young, beautiful, and in need of the help of the mortal Theseus (Henry Cavill) to bring down the power-hungry King Hyperion (Mickey Rourke). We were shown the teaser trailer for the film which was followed by a Q&A with Singh, Cavill, Evans, Lucas, and producer Mark Canton. Hit the jump for my recap and thoughts on the Immortals presentation. Visionary director Tarsem Singh (The Cell, The Fall) and producers Gianni Nunnari (300), Mark Canton (300) and Ryan Kavanaugh (The Fighter) unleash an epic tale of treachery, vengeance and destiny in Immortals, a stylish and spectacular 3-D adventure. As a power-mad king razes ancient Greece in search of a legendary weapon, a heroic young villager rises up against him in a thrilling quest as timeless as it is powerful. The brutal and bloodthirsty King Hyperion (Mickey Rourke) and his murderous Heraklion army are rampaging across Greece in search of the long lost Bow of Epirus. With the invincible Bow, the king will be able to overthrow the Gods of Olympus and become the undisputed master of his world. With ruthless efficiency, Hyperion and his legions destroy everything in their wake, and it seems nothing will stop the evil king’s mission. The presentation kicked off with the debut of the film’s teaser trailer. Since I imagine this will be online shortly, I won’t go in to depth describing what happens. Instead, I’ll give you my impression of the trailer, which is that it’s 300 (which Canton also produced) but with more grace and beauty. There’s brutality, but it’s not hyper-masculine. You won’t see anyone scream the name of their hometown and kick someone into a bottomless pit. Instead, you’ll see the lush, gorgeous visuals that Singh has become known for from his previous films The Cell and The Fall. I can’t wait for this teaser to go online so folks can get a look at the jaw-dropping imagery on display. The film’s toughest task will be to try and get folks who liked 300 while still convincing that same audience that Immortals isn’t more of the same. I’ll leave that to the marketing people, but from a visual perspective, this movie is unmistakably the work of Tarsem Singh and that’s a selling point right there. After the teaser trailer, the panel launched into a Q&A and Tarsem explained that he liked exploring the notion of how individuals pursue immortality. Some, like Hyperion, want the literal immortality of the gods, others believe you live forever by having as many kids as humanly possible, while those like Theseus believe that immortality comes through deeds. The film will also explore notions of free will. When Tarsem was asked about using 3D on the film, he explained that it was a tool that he believes works well for him because he works mainly in tableau. If he were directing a Jason Bourne movie, with fast-cuts and a shaky camera, then 3D would probably be inappropriate. The big takeaway line from Tarsem was that his starting point for Immortals was “Caravaggio meets Fight Club.” He explained that while there will still be a baroque style, there will also be a physicality and accepts the laws of physics. As an example, he said that the gods are like flying squirrels. They can drift down to Earth, but they can’t simply fly up. Comparing the Greek gods to airborne rodents was just a sample of how Tarsem absolutely charmed the audience in the Esplanade ballroom today. He spoke fast, but his answers were funny and insightful. While there were questions for future Superman Henry Cavill (mainly along the lines of “I love The Tudors,” and “You’re so hot.”), Tarsem seemed to enjoy every question he received. 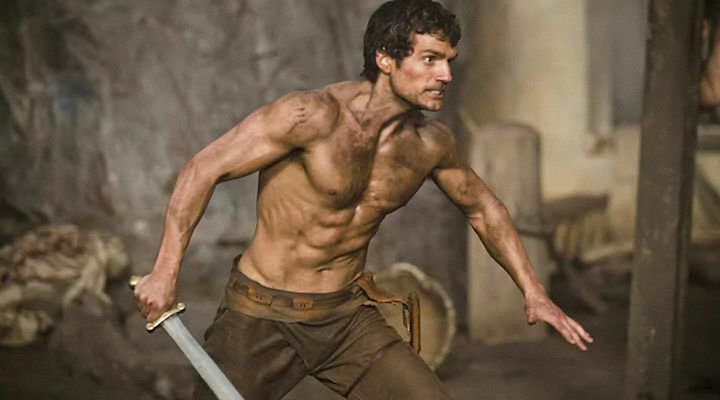 At one point he exclaimed, “I didn’t know I had more than two fans and three have shown up!” When a woman asked him a question instead of Cavill, Tarsem shouted “All right!” and the crowd laughed and cheered. We were then shown the trailer one more time and while I don’t think my words will do it justice, I will say that people should really give the idea of young-looking gods a chance. One of the popular conceptions of the Greek gods is that they’re vain and petty so it makes total sense that, given the power to do anything, they would look young and gorgeous. There’s a thought-process behind the decision and I find that thoughtfulness encouraging. It gives me hope that while Immortals will undoubtedly look magnificent, there will also be a method to the beautiful madness. 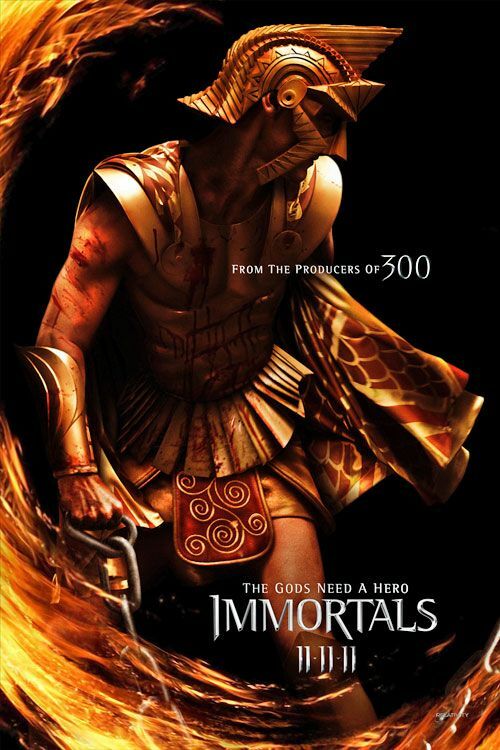 Immortals opens in 3D on November 11th. For more of our coverage from WonderCon hit the link.